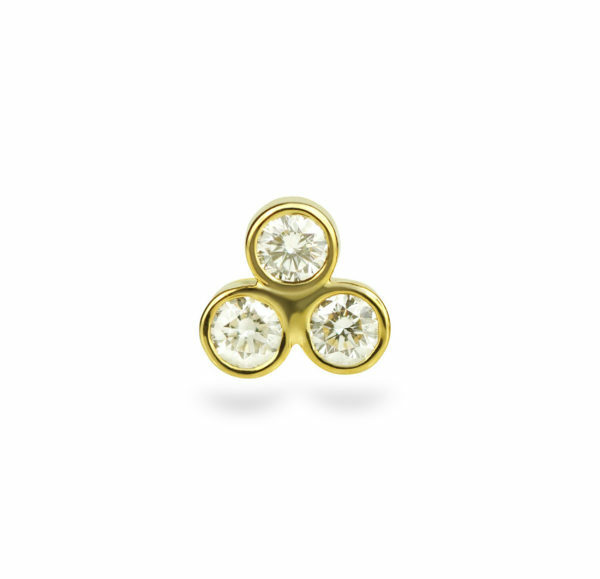 Triple diamond triangle 18K yellow gold cartilage piercing earring handmade from 18k yellow gold, and polished to a mirror shine. 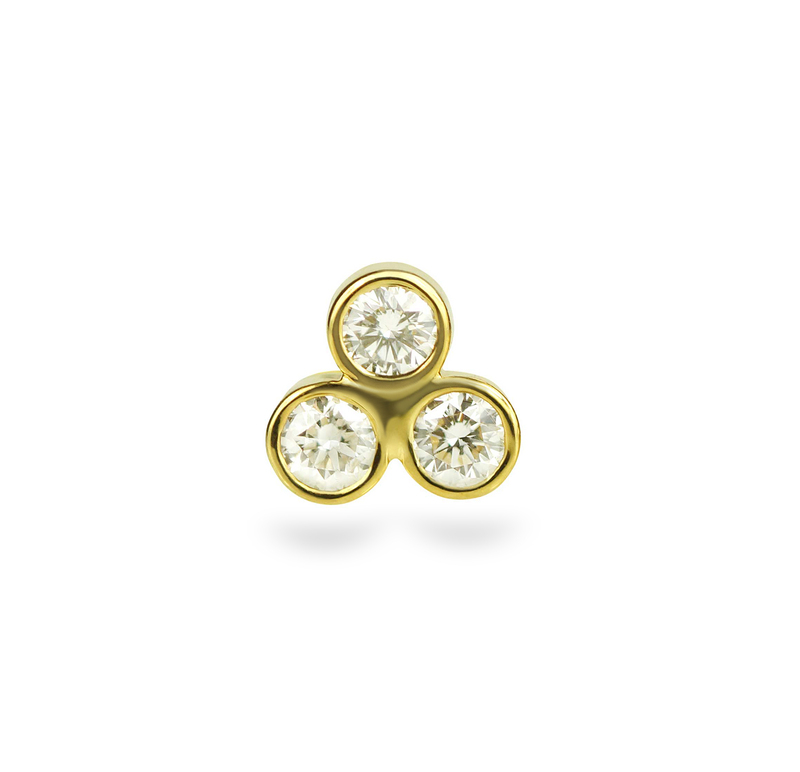 Three round diamonds set in 18k gold in a triangle cluster design earring. 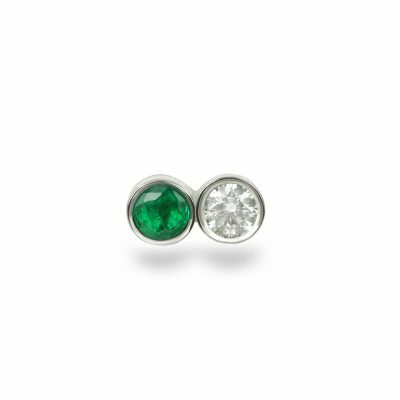 The diamond stud can be worn in different areas of the ear, including earlobe. Perfect for cartilage helix piercings. 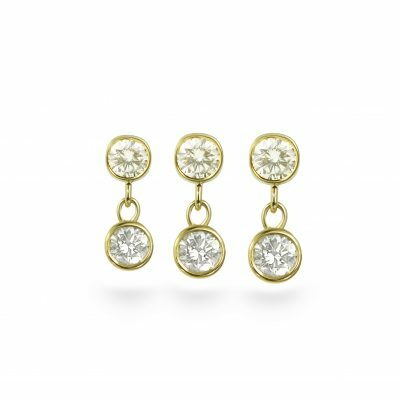 The use of the natural diamonds (mostly F color VS1 quality) and 18k gold in our production can be seen straight ahead. Our signature pyramid screw backs are solid and have a good weight of 18k gold. Each facet of the pyramid is made and polished by hand without the use of ready-made components. This allows us to achieve perfect shape and shine which makes a big difference in the end. And they could be worn in reverse, as pyramid is one the most attractive shape for the earring, beautifully reflects the light on its sides. Ear styling can be customized to your taste and preferences. Whether you like to wear drop earrings or simple studs, you can get them on your ears and satisfy your craving for fashion. 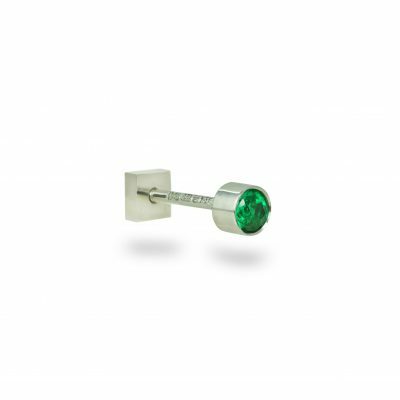 Lena Cohen Luxury Piercing it is modern sophisticated and casual jewllery appropriate for all fashion styles.